When was the last time your heating and cooling system was inspected, cleaned and adjusted to operate at peak efficiency? If you can’t quite remember you’re not alone. But take if from an expert, when you ignore your heating and cooling system you can end up paying higher utility bills. You risk frustrating breakdowns and repairs. Your system could very well need complete replacement long before it should. That’s why our Member Value Plus Preventive Maintenance plan makes so much sense. 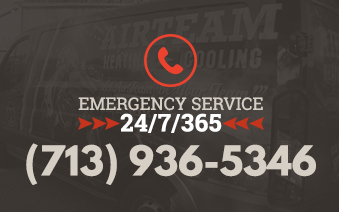 As your local cooling and heating experts, we offer a program of maintenance calls based on a written agreement between AIRTEAM, and you. Our trained professionals will inspect, clean, adjust, and lubricate your HVAC equipment to keep it running at peak efficiency. We think you’ll agree, planned service is the smart choice. 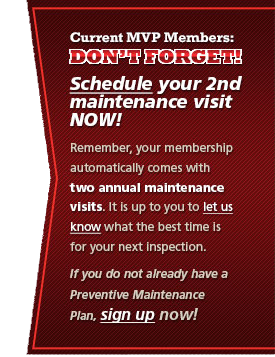 A single breakdown caused by poor maintenance can cost more than a year of preventive maintenance! Be sure to call today to schedule a service date – (713) 956-TEAM (8326).